Beautifully upgraded Whitman model boasts four bedrooms, a loft and finished basement plus a 3 car garage! Popular layout offers a bright and open kitchen with rich merlot colored maple cabinets adorned with slab granite countertops. Good sized island is perfect for prep or quick meals, stainless appliances include smooth top range, microwave, dishwasher and refrigerator. Hand scraped hardwood floors extend into the eating space that hosts a walk in pantry and access to the generously sized backyard and large patio with hot tub. Smartly configured second floor features the master suite with five piece deluxe master bath and walk in closet with ample space and the convenient laundry room. Second and third bedrooms are serviced by the full hall bath, with additional living space at the loft. Imagine entertaining in the finished basement with rec room, plus bedroom four and a 3/4 bath. 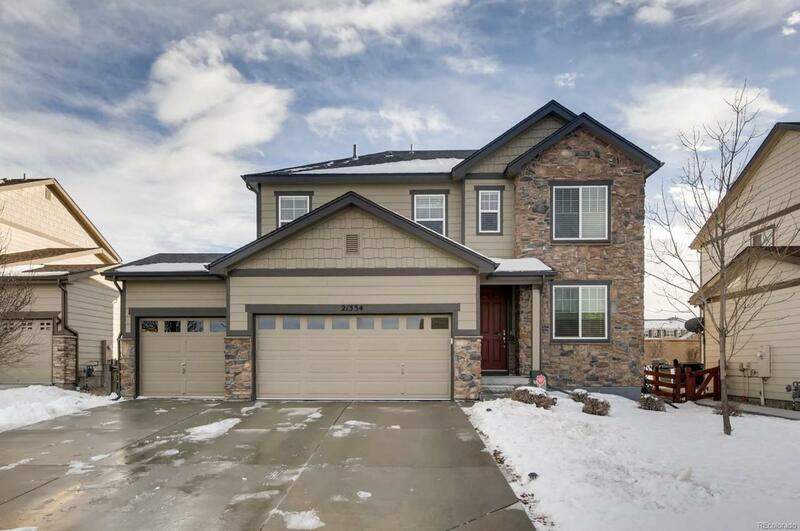 Located in the pool community of Copperleaf, in the Cherry Creek School District. Association Name Primary Copperleaf Homeowners Association Inc.